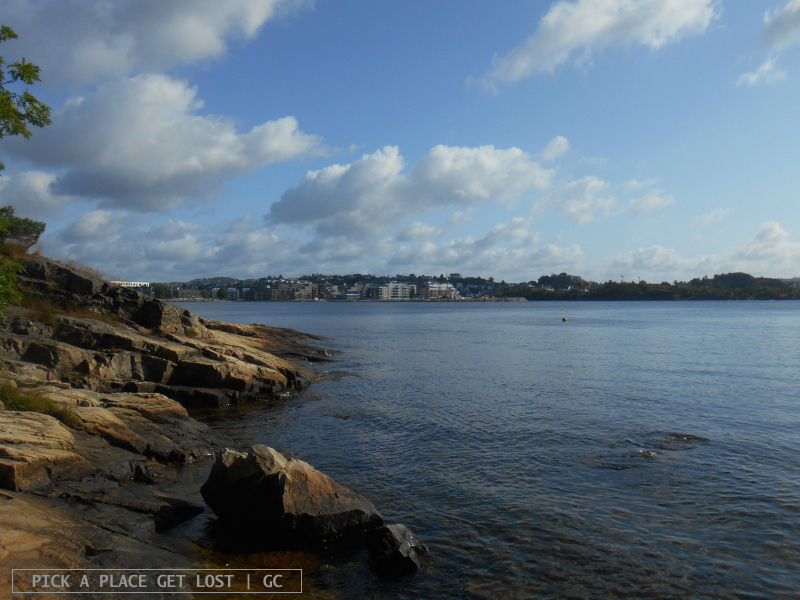 After two whole days of mainland Kristiansand, Sunday was all about islands, namely Odderøya and Bragdøy. They couldn’t be more different from one another. Odderøya is fairly large and separated by the city by the (narrow) Gravane canal. It’s so close to the mainland that you barely realise you’re accessing an island as you cross one of the bridges connecting it to the city. 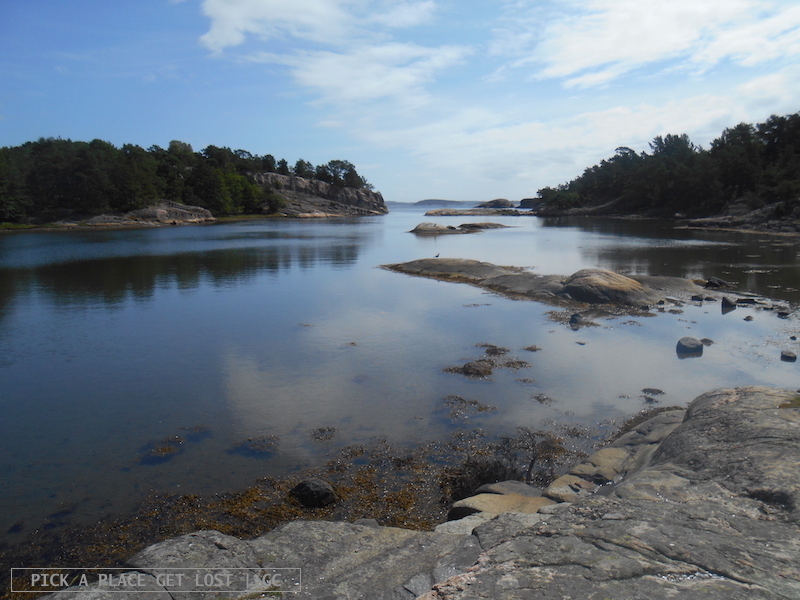 Bragdøy is a tiny little island a bit further off the coast where, apart from a few cabins and a cafe, there is nature and nature only. 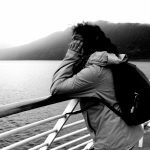 We went to Odderøya first thing in the morning, because we wanted to have a walk along the coast and see what the city looked like from the other side. 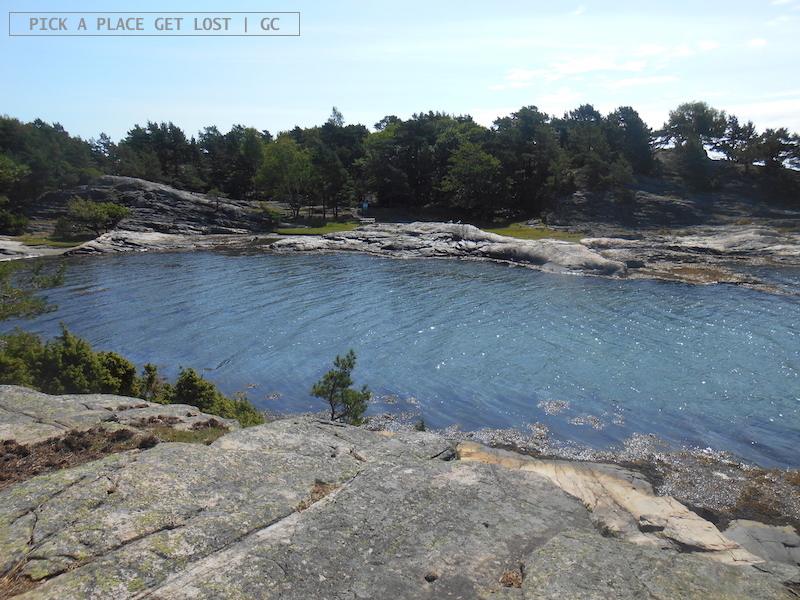 Soon after crossing the bridge, we cut through the trees to find an access to the coast, and there it was. The sun was already high, even though it was between 9 and 9.30 in the morning, the sky was cloudless and the water was incredibly transparent. Wow, no wonder they call it ‘Norwegian Riviera’. I don’t think I’ve ever dipped my feet in such warm Norwegian waters. 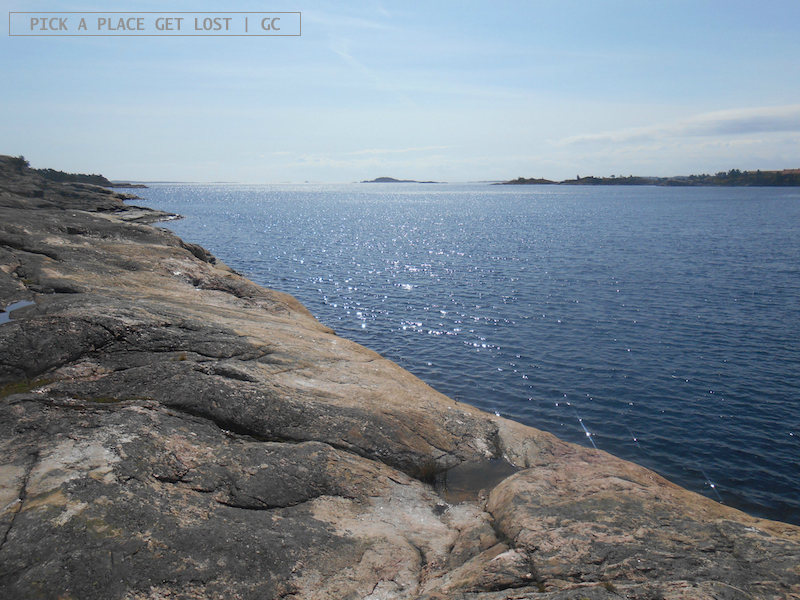 We sat on the rocks for a good 30 minutes before returning to the mainland in good time to board the first ferry to Bragdøy, the actual destination of our Sunday trip. 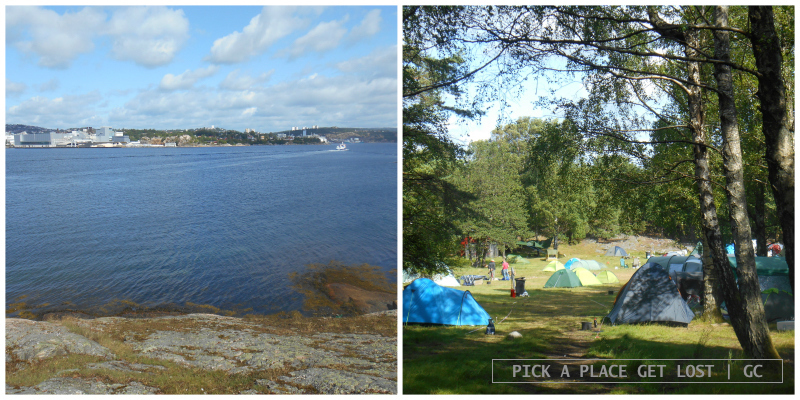 Admittedly, of all the islands of the archipelago, we picked Bragdøy for no specific reason. When looking up ferry timetables the night before, the MS Bragdøya ferry timetable was the first we came across, and because it fitted well with our schedule for the day, we thought we’d pick Bragdøy. 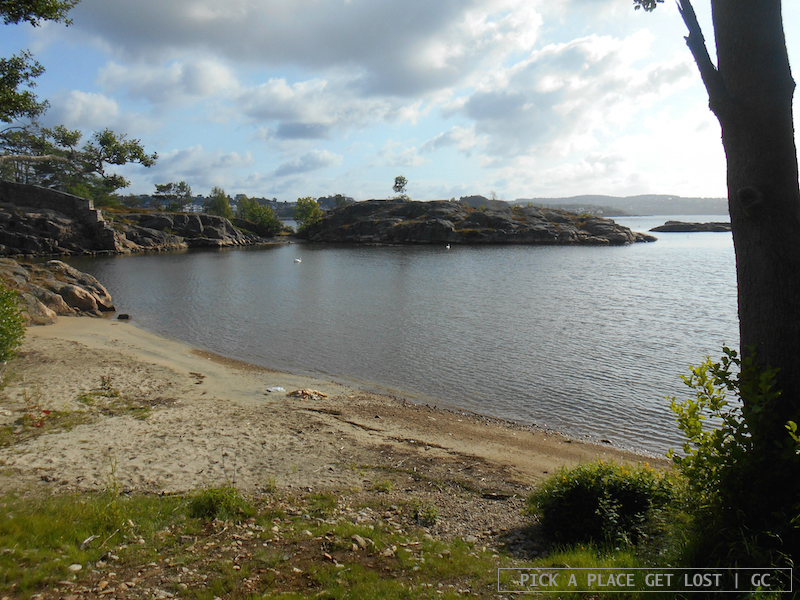 I’ve no idea what other islands and islets of the Norwegian Riviera look like, but I can say quite confidently that Bragdøy is a tiny little marvel in itself. Plus, it was the opposite of touristy, which made it even more appealing to me. As we got off the ferry, we saw dozens of Norwegians waiting to get on board and return to Kristiansand. They all carried backpacks, tents and portable fridges. A few of them even had amps and guitars. There must have been something going on the night before, like a music event or something, so a fairly large proportion of the local population (families with kids included) spent their Saturday night partying on the island. They were now heading back to town, sleepy and loaded with bags and the few beers left from the previous night. After getting hold of a map of the island and having the blackest coffee at the cafe, we left the crowd behind, and picked our trail. There were three of them marked on the map: yellow, red and blue. 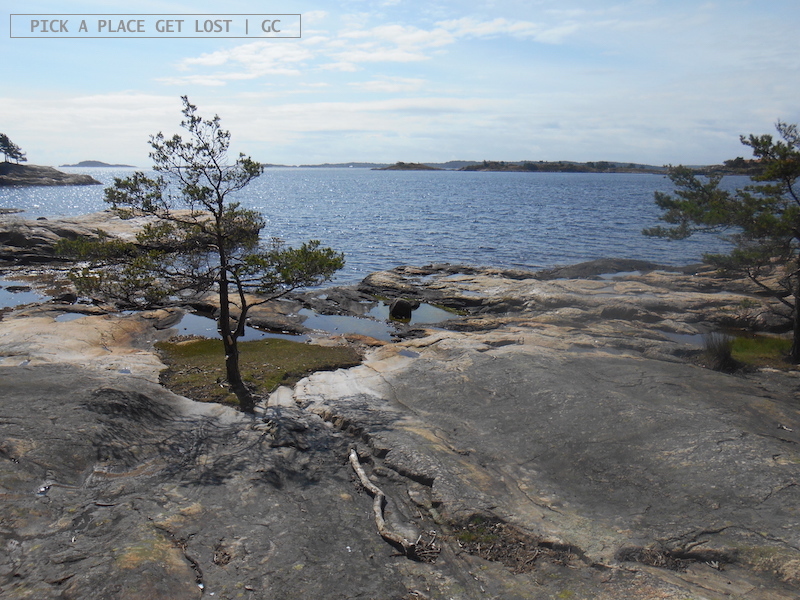 We chose to follow the blue trail, which ran all along the perimeter of the island. A little longer than an hour, and we were done. ‘Well, that was quick’, I thought. And we even kept a fast pace the whole way, as we feared it might take hours to return to the beginning of the trail. Oh the irony. So much beauty over such a small-sized stretch of land. 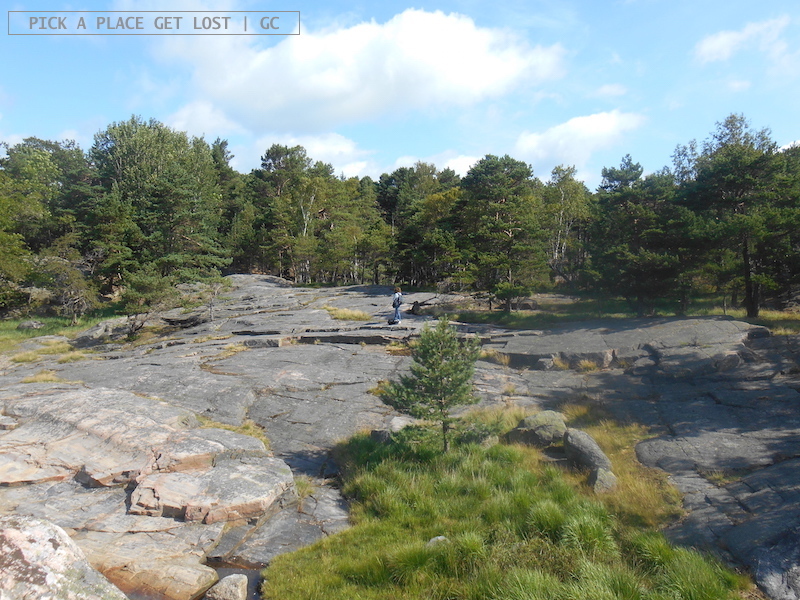 From above, Bragdøy must look like a green clump encircled by rocks. The trail goes through the forest, with occasional openings toward the coast, which is rugged and beautiful. But you can easily leave the trail anytime, and head toward the rocks, and see for yourself how unspoilt nature really is one of those things that make you feel like there’s still hope in this world. 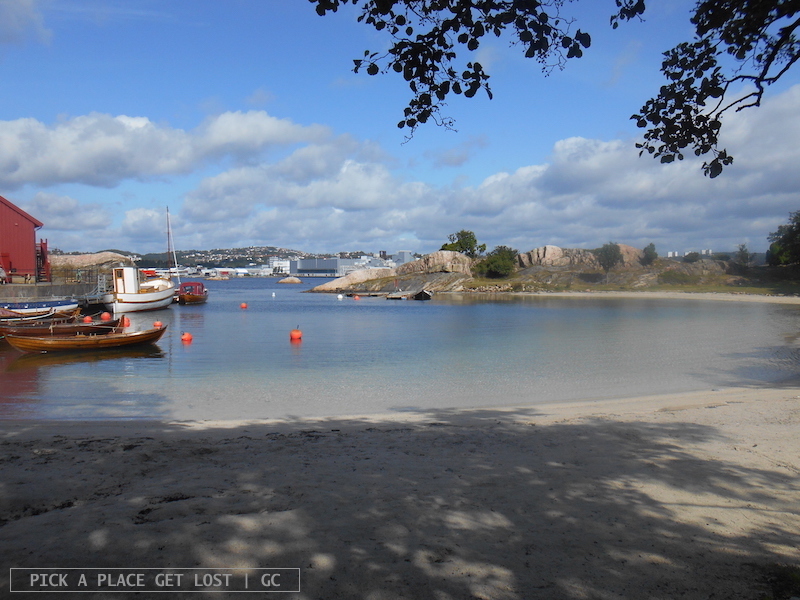 You will probably notice private boats moored off the coast or at some unspecific point of the shore. Also, if you’re as lucky as we were with the weather, you won’t fail to wonder at the sharpest contrast between the dark, neat shadow cast over the trail by the leafy trees, and the white, almost blinding light cast over the rocks by the sun, which also made the water look even bluer than it already was. 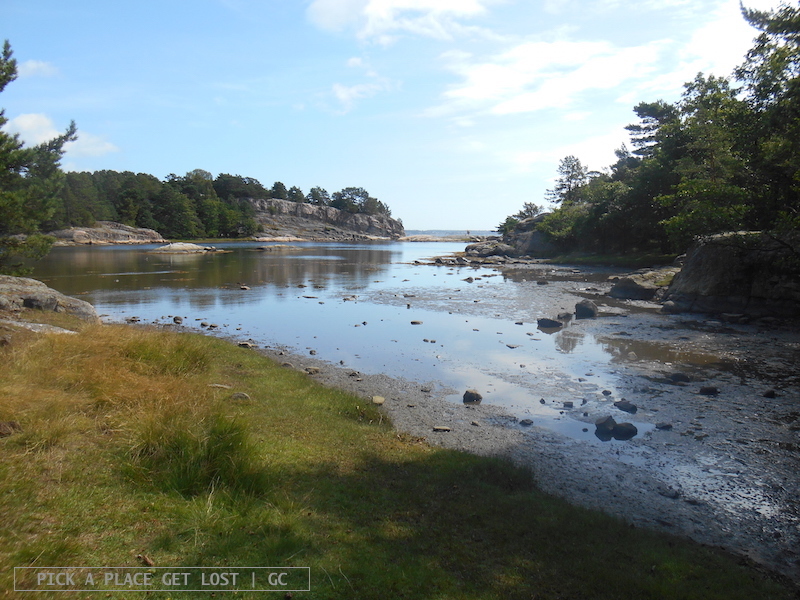 This entry was posted in Norway, Norway 2015 and tagged bragdoy, kristiansand, kristiansand islands, norway, norwegian riviera, odderoya by Giorgia. Bookmark the permalink.